Want to know how to become enlightened? Ever wondered what spiritual enlightenment feels like? Spiritual enlightenment is the highest state a person can achieve. Spiritual enlightenment is the magical moment when you transcend your individual self and become oh so much more. In Emptiness Dancing, Adyashanti compares spiritual enlightenment to waking from a dream. When you’re asleep you absolutely believe in the reality of the dream. If you think you are going to die in your dream you will panic in fright because you are so certain that the dream is true. Right now you are living what you think is reality. But it is a dream. What will happen when you awaken from this dream of reality? Actually, very few people know the answer to that question. There are around 7 billion people in the world. And around 6.999 billion of them have not reached enlightenment and probably never will. Those people believe they are living the truth. They believe it the same way they believe their dreams while they are asleep. And just as they can wrongly think that a bad event in a dream will harm them, they think the same about “reality”. People think that reality is absolute. And this simply is not true. Reality is just your mind’s misguided perception of an infinite ocean of emptiness. Most people live in fear and stress because they are not spiritually enlightened. Just as they believe their dreams may hurt them they believe this so called “reality” may hurt them too. And because they fear being hurt they feel stressed, just like how they panic in a dream when a monster creeps up on them. Enlightenment is stepping out of this fake perception of reality. It is seeing the universe for what it truly is. Sound great, right? But how do you reach enlightenment? Frank M Wanderer, Ph.D tells us, “Your nighttime sleep is only different from your daytime sleep in that in the night your dreams are less active. During the day, you imagine a whole world around you, and you play an active role in that dream.” [read more]. Reach spiritual awakening. Become enlightened. And you will stop that stress and live in complete freedom and joy. But how? Well, that’s where this article comes in. 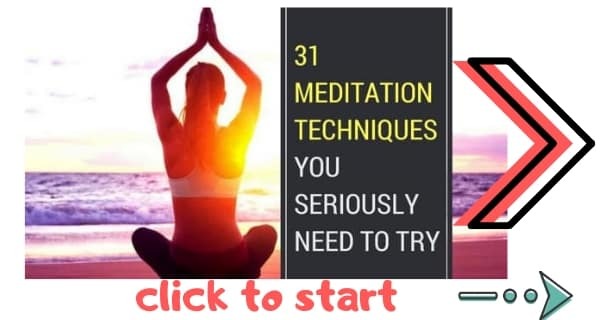 In this guide I will show you the path to enlightenment through a special combination of the top 31 meditation techniques. 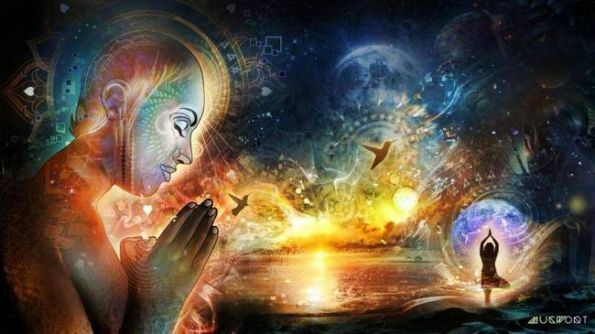 There are 8 stages to becoming enlightened, and they follow the same pattern to waking up (perhaps that’s why it’s called spiritually awakening). These are the stages of spiritual enlightenment Where are you at right now? Leave a comment and remember to subscribe to our newsletter. If you want to know how to become enlightened you have to go through these 8 stages. Most people fluctuate between the first four stages, infrequently touch on the fifth stage (oneness) and never reach enlightenment. Everyone is already moving between the stages. Therefore, spiritual enlightenment is not a completely foreign concept, it is simply a development of a process we already experience. Note that the stages of enlightenment that I have written here are different to the Buddhist way to become enlightened. Let’s look at the Buddhist way how to become enlightened. In Theravada Buddhism, someone who has reached spiritual enlightenment is called Arhat. This is according to the Sutta Pitaka. According to the Visuddhimagga to move through these stages we must practice prajna (insight) into Anatta (non-self). Read this guide to Vipassana for the answer. We have all be born once. The first birth is the one we all know about: our birth by our mother’s womb. We were unconscious at this birth. We didn’t make this birth happen. Instead, it happened to us. It was a blessing that was given to us by nature. And we had nothing to do with it. Because we didn’t create that first birth ourselves. we are not in control of it. And because we are not in control of it, it can be corrupted, and often is. The purity and innocence that we are born with can be robbed from us in one moment. You’re probably more than aware of the moments in your life that took away that innocence. And some unfortunate people have never gotten that innocence and purity back. Because we lost that innocence that was given to us, we have to recreate it. And naturally, to be born again we first must die. Your ego, your sense of self, need to die. That’s what enlightenment feels like to a degree: it feels like death and rebirth but in a magical sense. It is only possible to reach spiritual awakening once you let go of the self. This doesn’t mean the self truly dies. It means the self becomes the universal self. As water from a kettle turns to steam in the air, and becomes one with the universe around it, we too can evaporate like steam, transcend our individuality and become one with the universe. So, the first thing to know about spiritual enlightenment is this. It is the death of “self” It is the beginning of a new version of us, at one with the universe. Don’t be too hell-bent on achieving oneness too quickly. The problem is, the more we desire, the more we think “I, me, my…” the tighter our sense of “Self” becomes. That is why many people become more ignorant as they age. They actually become less spiritually enlightened. And you can see the signs. They desire more and more, and they see themselves as separate from the outside world. Desires feed the self, and the self is the seat of ignorance. Spiritual enlightenment is the removal of desire and the removal of “Self.” It occurs when we step beyond ourselves, when we allow ourselves to be one with the outside world. I spoke a moment ago about the water in a kettle. Heat turns water to steam and it merges into the world around it. Heat changes the chemical structure of the water, releasing it from one physical form, transforming it into a new state, a state in which it is one with the air around it. For the human, acceptance is heat. When we accept the world around us and view it from a point of nonjudgmentalism, we dissolve the ego (the “self”) and become one with the world. We let go of our sense of “self” and become one with the world around us. This is rebirth. This is spiritual enlightenment. Be as the water that heats to become one with the world around it. Heat your spirit through acceptance and love. Then you will transform. You will reach enlightenment. You will awaken the universal self. You will be one with the universe. There are over 700 meditation techniques that offer more than 100 health benefits. There are lots of meditation techniques for enlightenment. To become enlightened, you need to use specific meditation techniques for enlightenment. You have to use the most important techniques, such as Samatha, Vipassana, and Dhyana and put them together into a specific pattern that becomes a path. That path will lead you to enlightenment. I’m about to make it easy. There is a clear strategy, a way in which you can use all the different meditation techniques to achieve complete self mastery. This is the best way to become enlightened. I’ve called that strategy The Path. “The Path” will take you from wherever you are to where you want to go. This path is the best way how to become enlightened. But before you take the first step, you need to ask yourself Where am I now? In order to know how to become enlightened you first need to find what Lao Tzu would call the “impurities of your mind”. This purifying process is the way to become enlightened and to find spiritual awakening. We are all at different steps along the path. Maybe you’re near the end and very close to enlightenment. Maybe you’re at the very beginning and have a long journey ahead of you. Either way, you can achieve enlightenment. But we need to start where we are. So how do we know where we’re at right now? Read through each of the questions in the five groups A to E. Give yourself 0 points for every time you answer “Never”, 1 point for every time you answer “Sometimes” and 2 points for every time you answer “Always”. Then add your score up. But don’t worry if you dont get a high score as you’ll find my guide to how to become enlightened below. At the end you will see how to become enlightened. Read through each of the questions in the five groups A to E.
Give yourself 0 points for every time you answer “Never”, 1 point for every time you answer “Sometimes” and 2 points for every time you answer “Always”. The total score is out of 100. What did you score? How enlightened are you? Read through each of the questions in the five groups A to E. These questions all pertain to the signs of spiritual awakening. If you scored 0 – 30 on the test: This is the lower range and indicates that you need to spend more time meditating and also to make sure you allow yourself to relax. If you score in this range, you might like to try to become more enlightened. Try some of the easier meditation techniques. You might like to use guided meditations and binaural beats, along with simple breathing meditations, in order to calm and centre your mind. This is the average range. This is the level of spiritual enlightenment most people are at. This range indicates that you are able to focus fairly well but that you also get distracted by thoughts and feelings. If you scored in this range you will find it very helpful to practice some of the intermediate meditation techniques, like Anapanasati, Zen walking, and body scan meditation. This will help to improve your focus and to relax and purify your mind. Congratulations. This is a fantastic range to be in. At this range you are becoming enlightened and are close to reaching spiritual awakening. This range indicates that you have a high degree of self control and your mind is relaxed and focused. If you want to know how to become enlightened, the good news is that you’re nearly there. If you are in this range you already live in the moment and you are usually in control of your thoughts and feelings, which is why you often experience serenity and happiness. Try some of the advanced meditation techniques like Dhyana and dynamic meditation to improve your score even more. Amazing! You are top of the class. You have achieved enlightenment. You don’t need to know how to become enlightened. You’re already there. You have an extremely high degree of focus. You are spirituallt enlightened, or you are close to being enlightened. You are also completely accepting of yourself and of other people. Plus, you live in the moment almost all the time and are able to fully embrace and appreciate the fullness of life. If you scored in this range you really don’t need to improve very much. Why not use your skills to help other people? Try volunteering, or simply help your friends and family so they can relax and focus and enjoy the serenity and equanimity that you already enjoy. For everyone who scored under 90 on the test, you should consider where your strengths and weaknesses are as this will help you to decide what to do next. This guide will help you to become enlightened. The test is broken down into different sections, A to E. These sections are designed to test different mental traits. The key to spiritual awakening is to develop the weaker aspects of the mind. Each individual section (A to E) is marked out of 20. Group A is all about your calmness and inner stillness. Inner stillness is an important part of how to become enlightened. A high score in this category means that you are in control of your thoughts and feelings and are able to silence your mind in order to focus. A low score indicates that your mind is full of noise, preventing you from focussing. If you score lowly on group A, consider taking steps to become calmer and to focus your mind. You will find it very helpful to practice Samatha and to use Binaural Beats and guided meditations to help you to relax. If you scored lowly on group A you will likely score lowly on other groups too. Don’t worry about those other groups yet. Focus on creating inner calm. Once you are relaxed you will be able to focus more, allowing you to move on to more advanced meditation techniques. Part of how to become enlightened is to cultivate a high level of compassion. Group B is all about your relationships to other people as well as to animals and nature. If you are an enlightened person you will have lots of compassion for other people. Read about the importance of compassion here. If you scored highly on group B you find it easy to accept other people and to forgive them of their shortcomings. You most likely enjoy a healthy social life and appreciate other people. If you scored less than 10 on this group of questions, try practicing Loving Kindness Meditationand Karuna Meditation, both of which will boost your levels of compassion and your acceptance for others. Group C is all about your relationship to yourself. If you scored highly on group C it means that you are accepting of yourself, that you recognise both your strengths and weaknesses, and that you have a healthy relationship with yourself. If you scored lowly on group C you may find that you are often judging yourself and have negative thoughts about yourself. If you scored lowly on group C, practice bothLoving Kindness Meditation and Karuna meditation. This will heighten your self love and make you feel more positively about yourself. Group D is all about insight. When you become enlightened you gain great depths of insight. If you scored highly on group D it means that you fully understand yourself and that you are aware of the workings of your own mind. You are also in touch with intuition and have good self mastery. If you scored lowly on group D you may often surprise yourself and find that you don’t always understand your thoughts, feelings, and emotions. If you scored lowly on group D, practice Vipassana meditation. This will put you in touch with the inner workings of your mind and heighten your self mastery. Group E questions are all about your ability to be absorbed in the moment. If you scored highly on group E you will find that you are able to focus your mind 100% on the task at hand. You are also able to enjoy the moments of your life with absolutely zero distractions. Few people score highly on group E so if you’re one of them, you should be proud! If you scored lowly on group E you will find that thoughts and feelings hold you back from being completely engrossed in the present moment. If you scored lowly on group E, practice mindfulness,Dhyana and Bhakti , all of which will help you to live fully in the moment and to engross yourself in the richness of life. If you scored lowly in more than one group (as most people do) focus on the first group you struggled with. For instance, if you scored lowly on groups A, C and E, focus on group A first before moving on to C and finally E. This is the way to become enlightened. So, that is how to become enlightened. The groups of questions you answered above are ordered as they are for a specific reason. The first group of questions is all about your level of calmness and focus of mind. If your mind is not calm and focused you will experience all manner of thoughts and feelings which will interfere with your day to day life. These distractions will prevent you from living in the moment and from enjoying life fully. So the first group of questions regards calmness and serenity, which Buddhist would call Samatha. Samatha is the essential foundation on which all else is built, and it should be your first priority. Beginner meditators can use breathing meditations, mindfulness, guided meditations, Binaural Beats and other entry-level techniques to quieten their mind and to find calmness and focus. Once you have achieved Samatha mind you can then move on to groups B, C, and D.
Groups B and C can essentially be lumped together. Group B pertains to your feelings about other people. Group C pertains to your feelings about yourself. But both groups are essentially about compassion: Compassion for others and compassion for yourself. You can achieve both by practicing two meditation techniques: Loving Kindness Meditation and Karuna meditation. Having focused and calmed the mind and then cultivated compassion for yourself and others, you will then be in the right mental space to begin to look deeper and to develop insights. Insight gives you mastery over self and also certain extra-sensory perceptions like intuition and clairvoyance. The path to developing insight is through Vipassana meditation. Once you have achieved calmness, focus, compassion, and insight, you begin to truly enter the deeper stages of meditation, the stages at which you begin to achieve the Buddhist state of oneness, the state of existing as one with an object, person, or thing. This is what group E is all about. Oneness can be achieved through the practice of Dhyana meditation and Bhakti meditation. In the end, once you have scored highly in all the groups, A to E, you will have achieved a state of complete calmness and equanimity, with compassion for all, and you will be able to access the deeper parts of your mind through insight. You will be able to focus your mind to such a degree that you achieve complete oneness, which is the moment you reach spiritual awakening. Why Is Spiritual Enlightenment Important? A great deal of our time spent on Earth is spending fearing, fighting, avoiding, or confronting pain and suffering. Suffering is caused by the ego. The ego perceives itself as a separate entity to the “outside world.” It actually takes quite a lot of sustained mental effort to create and maintain the delusional perspective of ourselves as an entity separate from the outside world. Buddhists view this duality, the idea of an “I” separate to the outside world, the highest form of ignorance. Duality is the chief form of suffering. When we perceive ourselves as a separate part of the world, we become attached to other separate parts of the world, such as the people in our lives. More specifically, we become attached to them precisely as they are. But everything and everybody is impermanent. Life changes. We become attached to something that we wish were permanent (we hope people we love, for instance, never change). But inevitably this will cause pain because life is transitory and people do change all the time. Kill your ego and you achieve oneness. Buddha taught that the way to break free of the ego and of the suffering that the ego causes is to achieve enlightenment. The way to achieve enlightenment is by following the four noble truths. 1: Dukkha: All temporary things and states are unsatisfying. 2: The Arising of Dukkha: Yet we crave and cling to these things and states, which is the cause of pain. 3: Cessation of Dukkha: We can free ourselves of Dukkha by letting go of our attachments. We can still enjoy positive relationships, but we can do so while accepting the transitory nature of reality. 4: The path to the end of Dukkha: following the Noble Eightfold Path, namely behaving decently, not acting on impulses, and practicing mindfulness and meditation, will lead to freedom from Dukkha, and freedom from suffering. Life would be very, very easy if we simply accepted the fact that things change, and if we no longer cling onto things. And that is where the Eightfold Path comes in. If you wish to use meditation for enlightenment, follow the Eightfold Path. 1: Right perspective: The mind has a predisposition for delusion and over-complication. Buddhists advocate perception of things in their pure and simplest form. See things as they are. To achieve this, practice Samatha Meditation and then Dhyana Meditation. These meditations have a powerful effect on your perspective, so much so that they’ve even been proven to stop racism. 2: Right Intention: Buddha advocated noble intention, which includes strict adherence to honesty. 3: Right Speech: Speak from the heart and with honesty. 5: Right life: Wherever you are, do the best you can do there. Whoever you are with, do the best you can do for them. Maybe you think you’d be better off elsewhere. But you are where you are. Serve the place where you are and the people who are around you. 6: Right Effort: Buddhists see “Right Effort” as a combination of four things. The first is the effort to prevent evil in oneself. Secondly, effort to prevent evil elsewhere. Thirdly, effort to bring out the best in oneself. And fourth, to bring out the best in others. 7: Right Mindfulness: This is where the actual “meditation” part of enlightenment comes in. We need to be mindful and live in the present moment with non-judgmental observation of reality. Now that we’ve discussed what enlightenment is, it becomes a lot easier to see how to become enlightened with meditation. Here are more tips on how to become enlightened. 1: Use Mindfulness for “Right Perspective”: Mindfulness is the beginning of spiritual enlightenment. Make an effort to be mindful and to live in the present moment and all times. You will find it helpful to practice mindfulness meditation in order to achieve this. What are your aims and desires? Whatever they are, they should be for the betterment of all. They should not harm any sentient being. They must not be selfish or egotistical, and it is best if they include helping people in your own community. For this, try doing volunteer work at a local charity or shelter. This is right intention. Nonviolent communication is communication that is free of judgment and hostility and also does not include delusional perspectives. Nonviolent communication is about peace and love. Right Action must be achieved through mindful choice. You must decide to dedicate yourself to the path of love and peace. Right Life is about helping the people and animals in your life, about helping your community. Try practicing Loving Kindness Meditation. Send thoughts of love and kindness to people in your community. This will naturally motivate you to get positively involved with your community. No matter where you are or who you are with, focus on the positives. Be the kindest and most compassionate you that you can be, and try to inspire other people to be the kindness and most compassionate they can be too. If you would like to develop your levels of compassion, you will find my guide to Karuna meditation very helpful. Mindfulness is arguably the most important part of enlightenment. It’s here that we begin to actually use meditation for enlightenment. 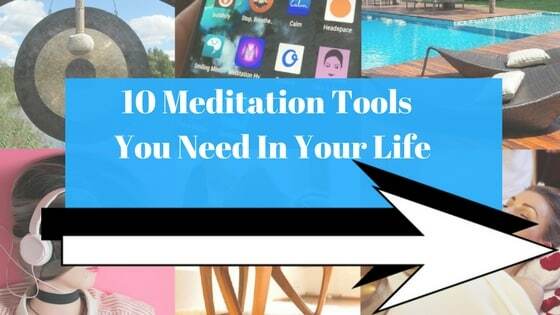 I recommend using as many different types of meditation technique as you can. In order to help out I’ve created a meditation schedule at the bottom of this page. I think you’ll find it really helpful. I’m going to recommend that in order to create right concentration you print this page and put it on your fridge. That way you’ll see it every day and it will remind you what to do. You could also put it on your blog or your website, share it with friends, whatever will help you to keep this guide in mind. How to Become Enlightened? Read This Book! My premium guide “Journey To The Buddha Within You” will show you how to become enlightened. In Journey To The Buddha Within You I will take you from wherever you are right now, lead you through all the most important meditation techniques, and teach you to become enlightened. 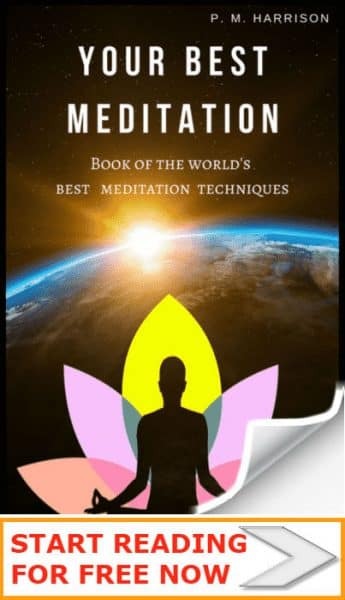 My in-depth guides will teach you all the meditation techniques that we’ve look at above. And by the end of the book you will know enlightenment. Walk the path with me.